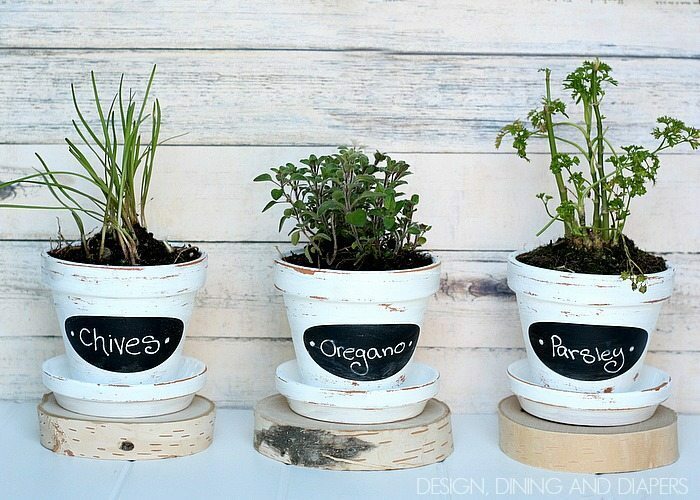 Chalkboard Herb Pots & Michaels/Hometalk In-Person Pinterest Party! Guess what?!? 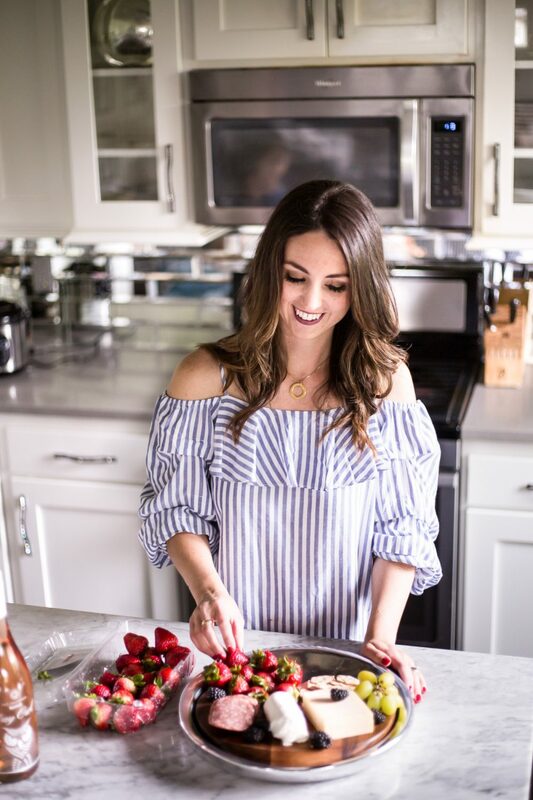 I have a HUGE announcement today and I’m SO excited! 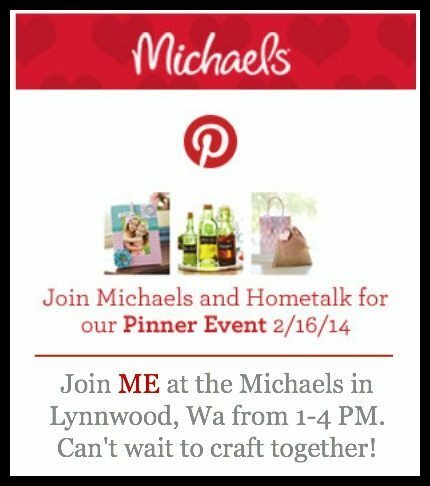 NEXT SUNDAY, FEBRUARY 16TH, I’LL BE JOINING MICHAELS AND HOMETALK FOR AN IN-STORE PINTEREST PARTY AND YOU ARE INVITED! Not local? No problem. There are 52 other stores/bloggers participating. Find one near you here. Michael’s has put together some fabulous projects for us to make. Seriously, I spent almost 2 hours looking through everything in the store! 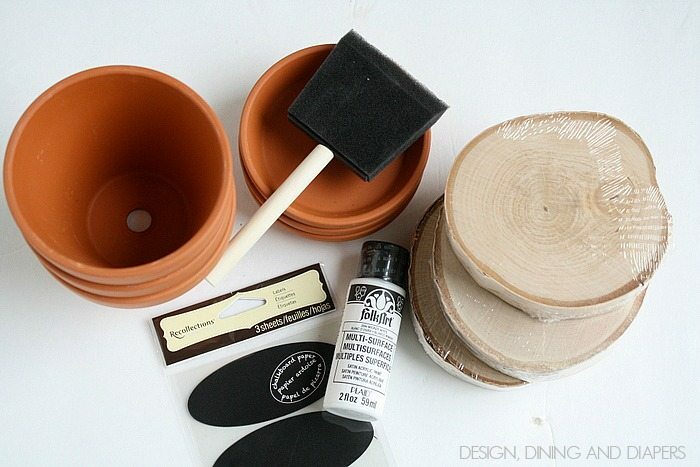 Today, I’m giving you a peek at one of the projects that I made and one that you can make too! 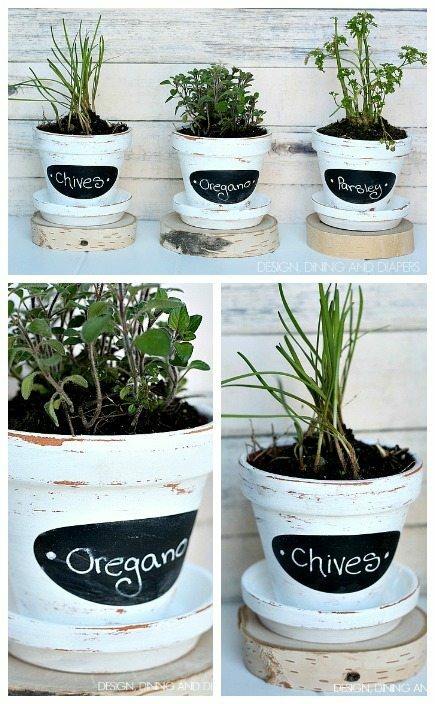 These Chalkboard Herb Pots are not only super trendy but are really inexpensive to make and easy. 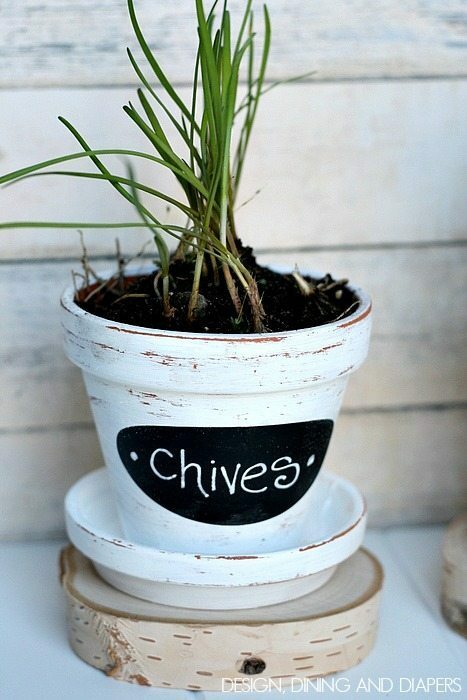 We cook a lot in my family and my husband has been asking for a small herb garden for a long time. Well, I finally did it! I actually learned a lot about herbs during this project. 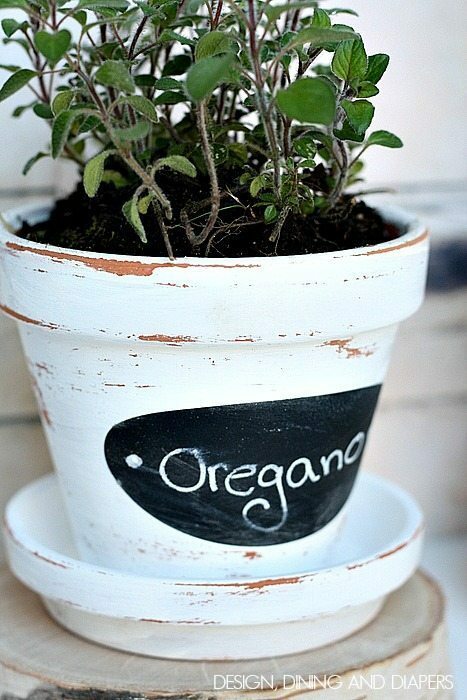 Like the ones I potted are actually outdoor herbs and I have to wait for indoor ones to come in later this season. So sadly, my pots will have to be moved outside once the temps warm up. But aren’t they just so cute? All of my supplies were purchased on one of the end caps at Michaels (except for the herbs, of course). 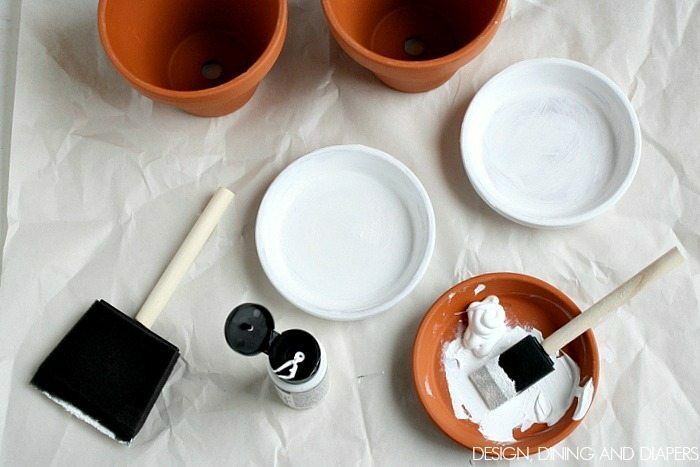 I started by painting the pots with the white paint. They needed a solid two coats! But thankfully the paint dries fast. 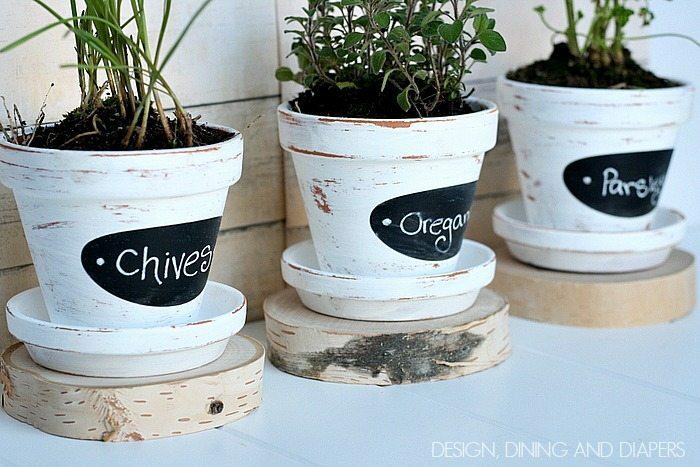 Then, I wrote out my chalkboard labels and adhered them to the pots. 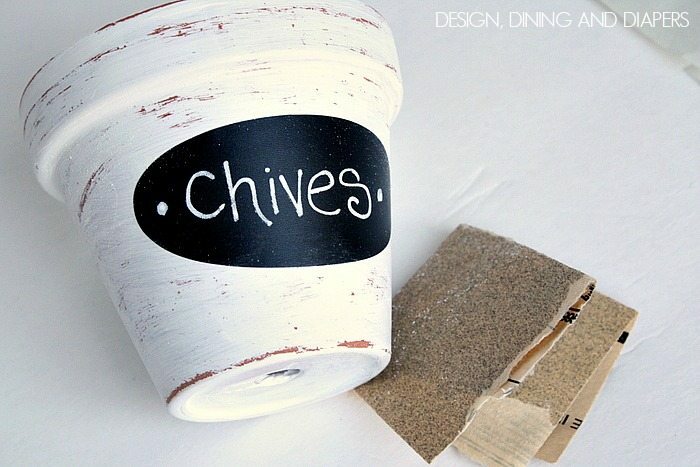 I put the labels onto the pots and lightly distressed the edges for a more rustic vintage look. Lastly, I potted chives, parsley and oregano and placed them on birch rounds for fun. I kind of fell in love with Michaels huge birch section and I HAD to buy something! I’ve got a few other projects up my sleeve too! Here are some other ideas from Michaels. I can’t wait to see YOUR spin on them at the party! 1. 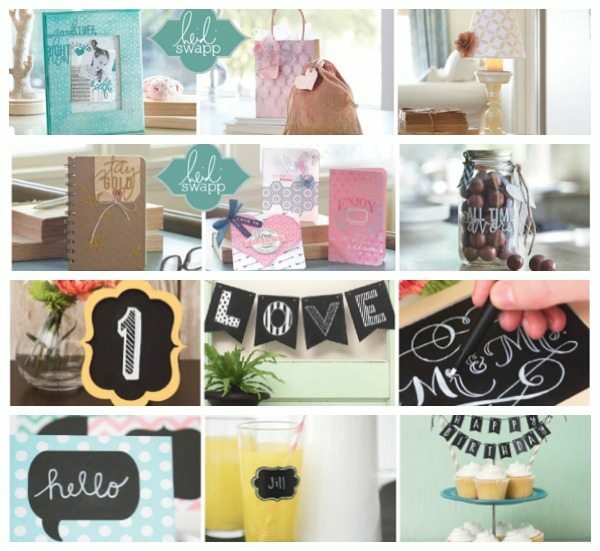 JOIN THE MICHAELS AND HOMETALK PINTERST PARTY! There are over 100 Michaels stores hosting the event, check out this list to find a store near you! I suggest heading to your store early to pick up your supplies (trust me, you’ll want some time to browse) and then meet back on February 16th at 1:00 PM to do some crafting with your friends. 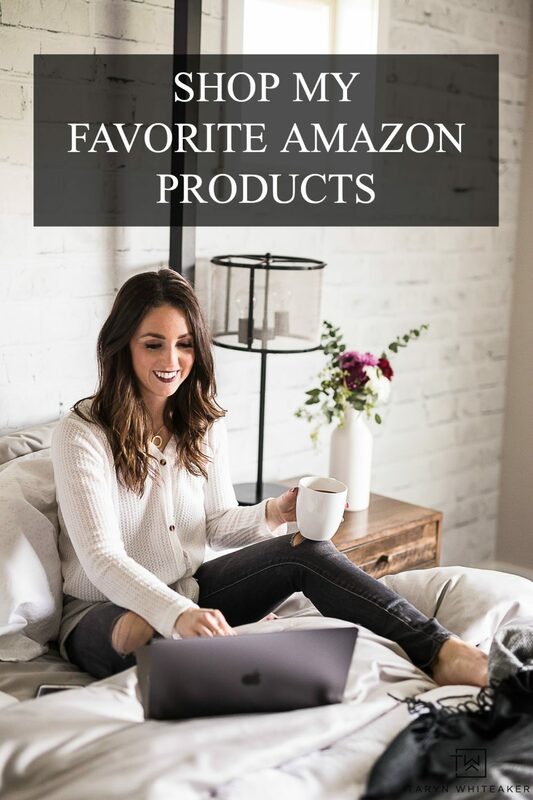 Check out the latest coupons HERE. Not familiar with Hometalk? It is a fabulous home and garden network where you can share your project photos for all to see and ask experts for advice on your next project. It’s pretty cool, you should check it out. 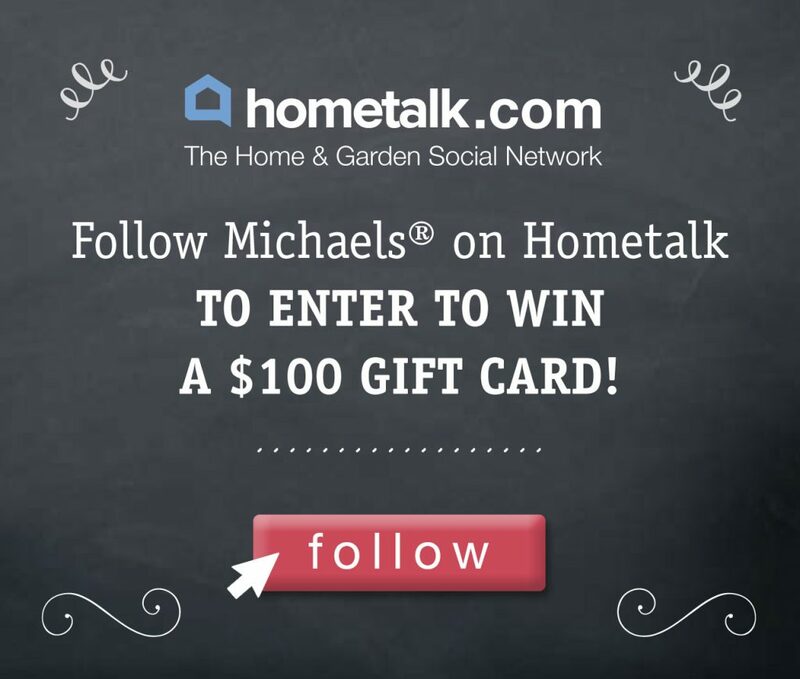 AND if you sign up now and like Michael’s on Hometalk you are automatically entered to win a $100 gift card! And reminds me of spring…I’m ready for all this snow & cold weather to go away! Love these. I just painted some pots myself. They were going to be for herbs, but then I heard the paint can leech toxins into the soil, so I switched up to succulents. I also sealed mine with a coat of Mod Podge, but now I’m wondering whether that was necessary. How did you get on with yours Taryn?